As a last hurra for the summer, one of my closest friends and I decided to drive down to none other than Burlington, Vermont. It was a day filled with great food, hysterical moments and amazing scenery. 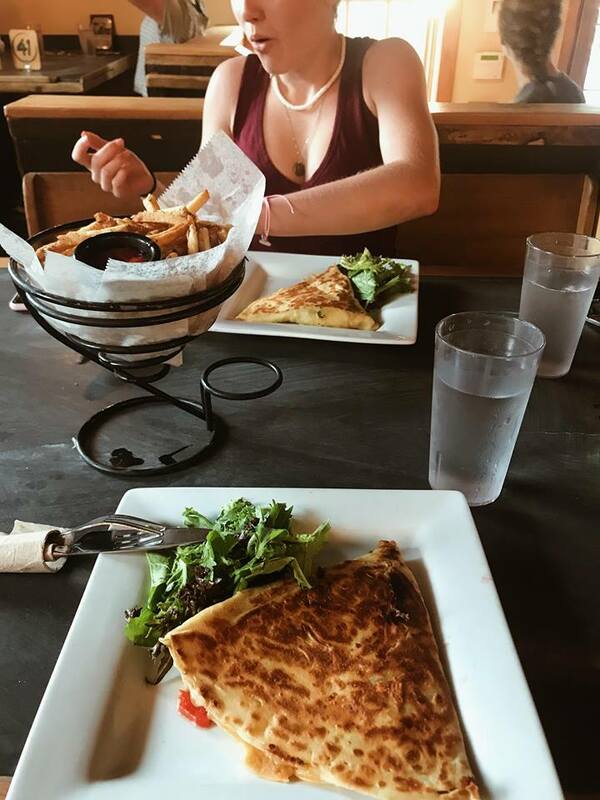 During our visit, we ate at the Skinny Pancake, which is a restaurant that serves mouth-watering crepes. 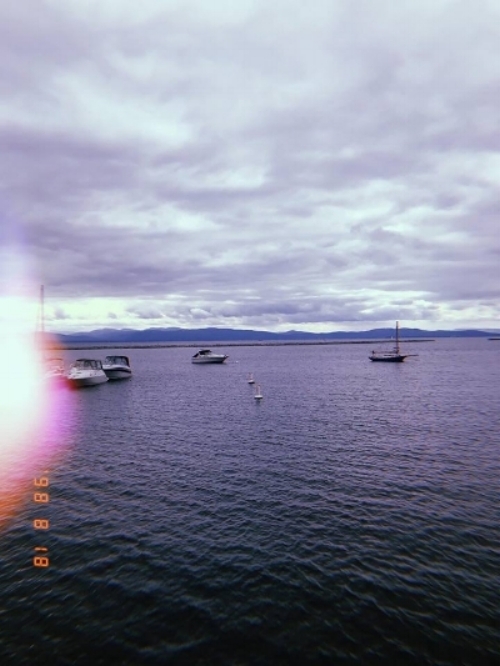 We also walked along lake Champlain, Church street and finally made our way to Stowe Vermont, where we ate pizza and explored a little more. 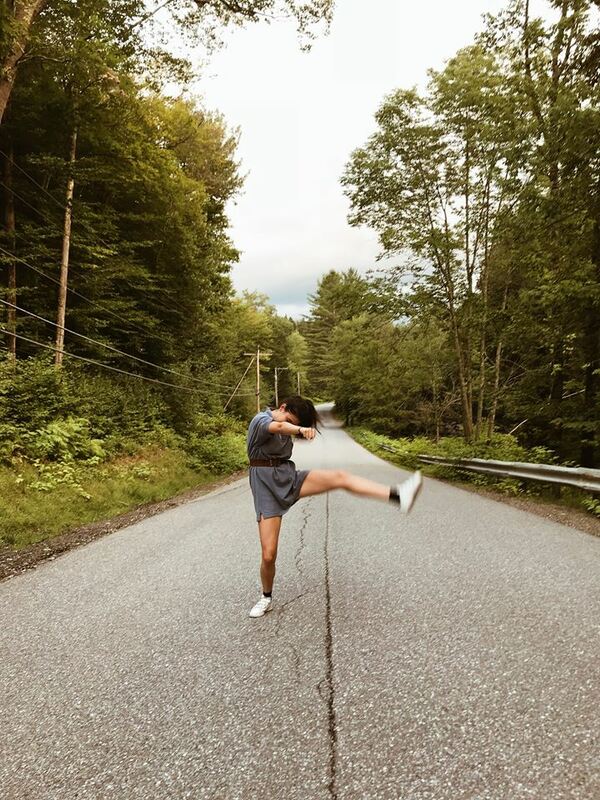 All of these activities were crammed into one day and it felt amazing to get out of the city and visit good old VT.
As we arrived in Burlington, we were famished. To boost our energy levels, we had to make a stop at the Skinny Pancake and order some much needed fries and crepes. It was definitely worth the line that stretched out of the restaurant. After our filling meal, we walked along the board walk and took a few pictures. The dress I wore is from my dads Closet. He owned this oversized polo that I manage to turn into a dress. To cinch the waist and make it look less baggy, I wore this thick vintage belt from the thrift store. I really loved how this outfit turned out. To match the color scheme, I brought my Longchamp navy blue purse. Finally, I wore my Addidas velcro sneakers. In Stowe, we went to visit Fosters, which is a nook In the woods where you can swim and jump into the river. Since it was too cold to do that, we opted to take pics Instead. What an AMAZING day! I Highly recommend visiting Vermont or any little town close to where you live. It was refreshing to get out of Montreal and be surrounded by nature, even if it was only for a day.